SRA Home Products proudly installs state-of-the-art sunrooms at homes throughout Princeton, New Jersey, and surrounding areas. We exclusively carry sunrooms manufactured by TEMO, the largest sunroom manufacturer in the country. 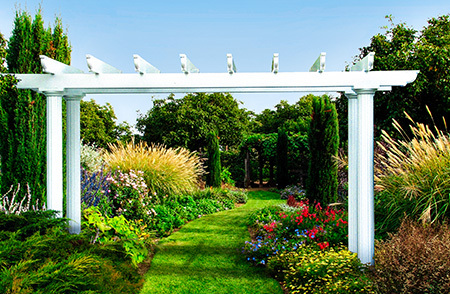 The sunrooms we carry are renowned for their outstanding strength and durability — they’re constructed from heavy-duty, fully extruded aluminum, a remarkably strong material that’s helped them satisfy national engineering standards for 110-mph winds. Customers also love our sunrooms because they can customize them to complement their home and match their personal sense of style. 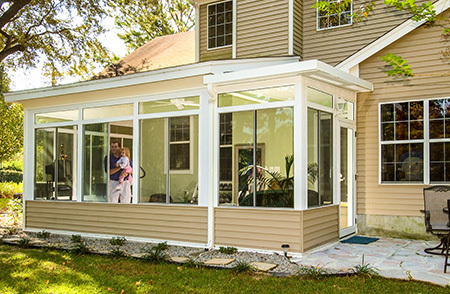 Which Sunroom Style Is Right for You? In addition to choosing the style of your new sunroom, you’ll be able to select the color (white, sandstone, or bronze), window system (prime window or window wall), glass type (single- or double-paned), and SPF level (SPF 59 or SPF 85). And, if you desire additional customization opportunities, you can opt to install a sunroom from TEMO’s Nino Vitale Signature Collection. You’ll be able to add matching siding, brickwork, roofing, and more to achieve full architectural integration with your home. If you’re interested in adding one of our top-of-the-line sunrooms to your Princeton, NJ, home, call SRA Home Products today. 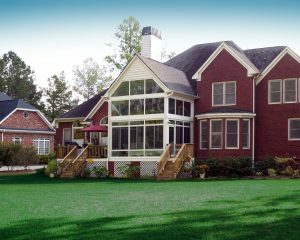 Our knowledgeable team will provide you with additional information about our sunrooms and answer any questions you might have about the design and installation process.